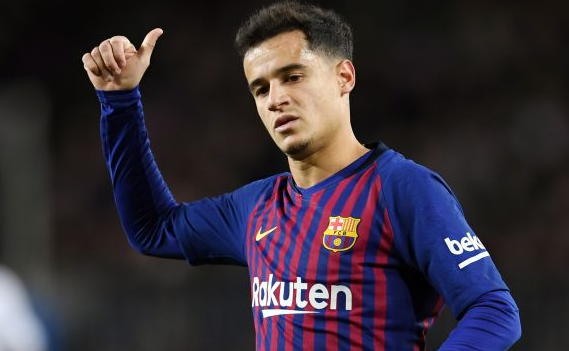 Manchester United and Chelsea have reportedly been given hope of signing Philippe Coutinho from Barcelona this summer. Coutinho completed a dream move to the Nou Camp in January 2018 after Barcelona agreed to pay Liverpool an initial £105million to sign the Brazilian. While he won three titles in the first few months of his career at Barca, Coutinho is now being linked with an exit following a frustrating season. The 26-year-old has scored just four league goals, with Ousmane Dembele often starting ahead of him before his recent injury. 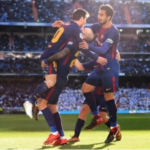 Barcelona hoped Coutinho would cement his place in the team while Dembele was sidelined but that has not materialised and the former Liverpool star was taken off in the second half of the Copa del Rey clash with Real Madrid last week. And according to Marca, Barcelona are beginning to consider the idea of selling Coutinho during the summer transfer window. It is claimed club chiefs are still backing him to turn things around, but the possibility of a summer switch is no longer deemed completely unreasonable. Last week, Barcelona president Josep Maria Bartomeu said the Spanish giants were not considering selling the Brazil international. 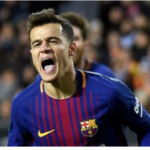 But Marca say that if Coutinho’s performances do not improve before the end of the season, he could be offloaded, with United and Chelsea said to be interested in securing his services. Manchester United have held interest in Coutinho for a number of years, while Chelsea are preparing for Eden Hazard’s likely exit. Under caretaker manager Ole Gunnar Solskjaer, the Red Devils have won ten of their last 11 fixtures to move into the top-four of the Premier League. Chelsea, meanwhile, dropped to sixth in the table on Sunday after being thrashed 6-0 by defending champions Manchester City.